This racer sold poorly and resulted in the closure of its developer, but that isn’t the fate it deserved – read on to find out why. Why you need to own Denaton Games’ bloody brilliant blaster. Discover why you’ll still be playing Valve’s epic game in years to come. Here’s why you’ll be playing Bungie’s inventive game in years to come. Why you’ll be playing From Software’s sequel for years to come. Is this Shinji Mikami’s greatest game? Let us know. Is Ken Levine’s game as good as everyone says it is? Why you’ll still be playing Capcom’s classic in years to come. Why Naughty Dog’s epic game is probably the best you’ll ever play. Warning, spoilers included. We revisit Konami’s scintillating sequel. Why you need to experience Level-5’s stunning RPG as soon as possible. We revisit Sega’s superb follow-up to Panzer Dragoon Saga. We explain why you’ll be playing David Cage’s supernatural thriller in years to come. Find out why you need to own this superb GBA game. We take a look at one of the best modern strategy games you’ve probably never played. Discover why the Wii exclusive is one of the best Japanese RPGs of recent times. 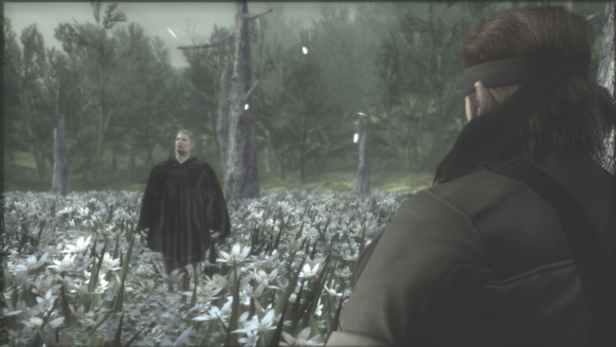 Snake Eater is one of the best Metal Gear Solid games around. Don’t believe us? Then read on. As Nintendo prepares to unleash a sequel, we go back to the fantastic original.